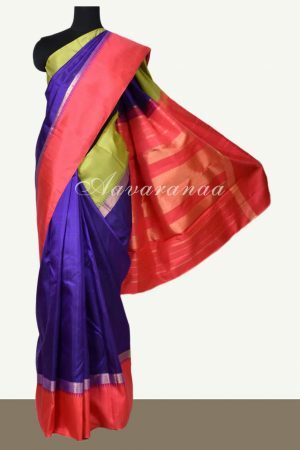 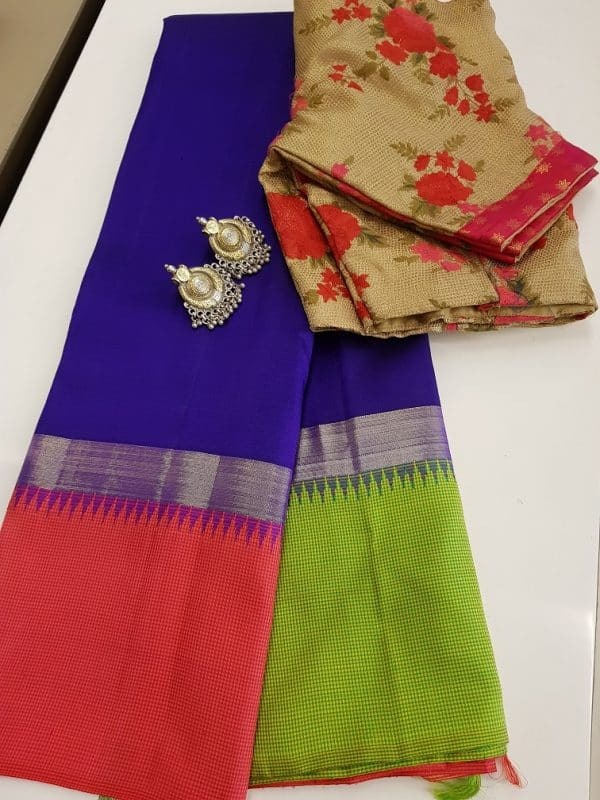 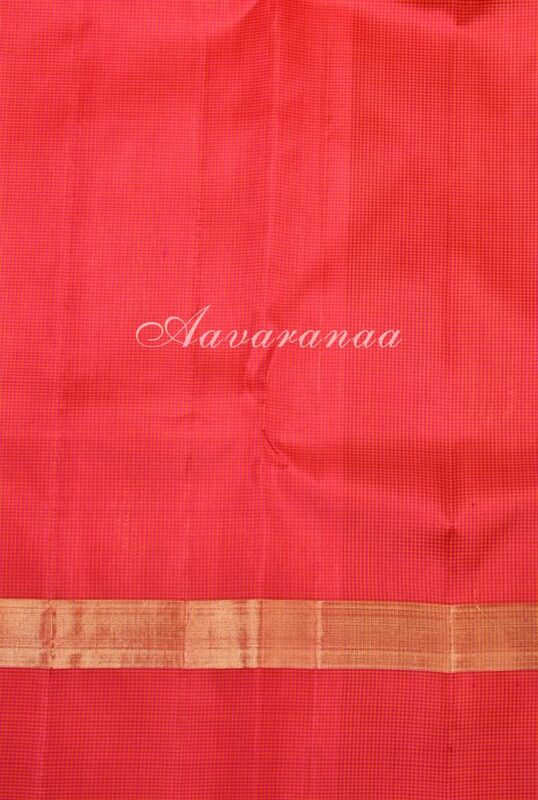 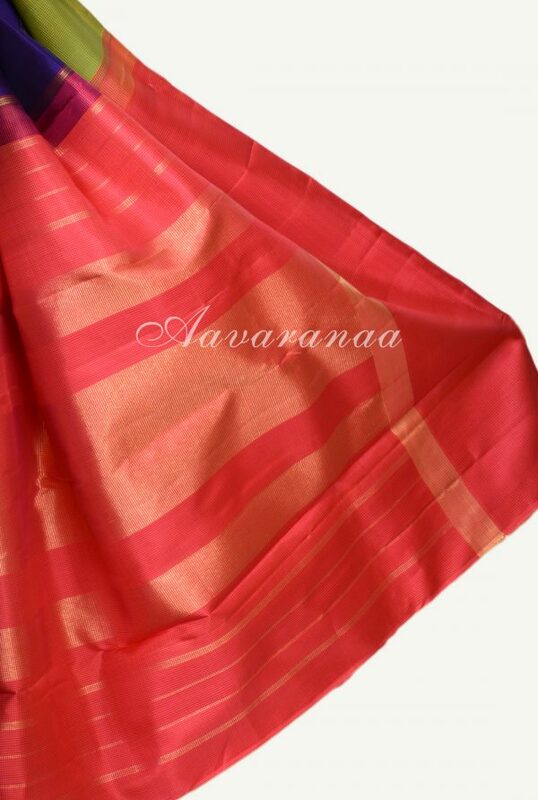 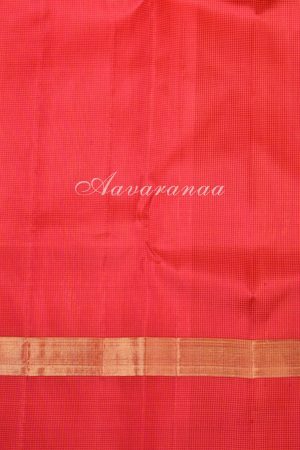 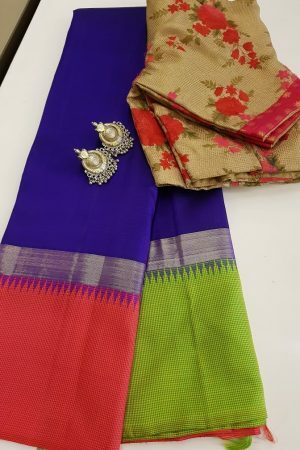 Navy blue kanchipuram silk saree with ganga jamuna border. The border has tiny checks in silk.. 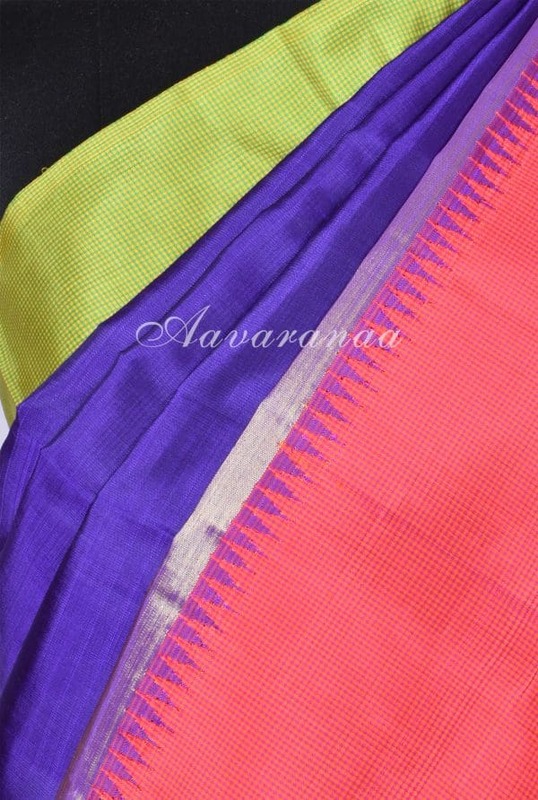 The border is yellow on top and green at the bottom.